The plutocratic media went beyond their usual propaganda role of merely defining the limits of public discussion and setting the agenda. This time, in desperation about a mobilized populist/progressive electorate, they intervened in the election on behalf of the reliably plutocratic status quo candidate, Clinton. Some, probably those who voted for Clinton, disagree with that assessment. Others are appalled at the performance of the media as gloves-off propaganda organs. Trump supporters are justifiably angry with the media which is why the reality TV president keeps this theme on rerun rotation. Progressives able to separate from neoliberal Democrats, can concede the reality of their concerns. But such progressives also insist on consequences beyond Trumpian rants and unsupported name-calling. The latter are too-easily rebutted threats against the theoretically legitimate role of the press in a democracy. Trump needs to discover the traditional policy-making tool of a commission of experts which could gather the examples of the mass media’s illegitimate role in the 2016 election and report a common set of supported facts. Only then can the country move forward with policy-making that will prevent the plutocratic media from such direct intervention in an election in the future. A “blue ribbon” bipartisan Presidential Commission on Propaganda Monitoring should be convened with the remit to seriously study the occurrence of this new phenomenon of what did amount to partisan pathological lying by the mass media during the 2016 election. Such a study was done about Harry Chandler’s LA Times propaganda campaign against Upton Sinclair in his 1934 governor’s race. Greg Mitchell, The Campaign of the Century: Upton Sinclair’s Race for Governor of California and the Birth of Media Politics (New York: Random House, Inc., 1992). A presidential Commission could also draw on the precedent of Ohio’s campaign propaganda agency. Susan B. Anthony List v. Driehaus, 573 U.S. (2014). 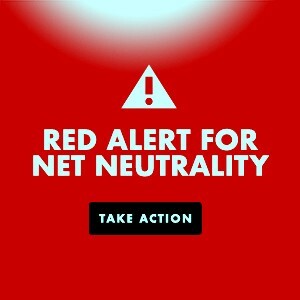 Proven propaganda used by large media organizations should be measured as a condition for permission to concentrate oligopolistic media power in violation of anti-trust laws or for renewal of FCC licenses. As said by the father of political propaganda who influenced Goebbels, Edward Bernays, Propaganda (1928) 37, 48: “Propaganda is the executive arm of the invisible government.” Arthur M. Schlesinger Jr.’s famously quipped, “Karl Marx held that history is shaped by control of the means of production. In our times history is shaped by control of the means of communication.” That control should be conditioned upon powerful corporate elements of the invisible government not using it to spread propaganda, as measured by transparent criteria. “Propaganda” is a legally defined concept, see Meese v. Keene, 481 U.S. 465 (1987), applied to such situations as suppressing the “blare of political propaganda…upon a captive audience,” Lehman v. City of Shaker Heights, 418 U.S. 298, 304 (1974); regulation of “organizations seeking to propagandize the general public,” United States v. Harriss, 347 U.S. 612, at 621 n.11; “to prevent secrecy as to … political propaganda activity by foreign agents,” Viereck v. United States, 318 U. S. 236, 250 (1943); prohibiting “Any propaganda for war,” International Covenant on Civil and Political Rights, Art. 20 (1), (to which the United States is a party); and denying tax exemption to organizations substantially “carrying on propaganda,” 26 U.S.C. § 501(c)(3). Cf. 47 U.S. Code § 317 (Act of 1934) requiring disclosure of paid political broadcasts). “Hacked,” being a term with a specific meaning related to digital security, could refer with any concrete relevance only to two matters. One is Wikileaks publishing of information that is accurate and relevant, often about wrongdoing intended to remain secret from the American people. This information could potentially, but not necessarily, be obtained by a hack. The importance of such disclosures to a democracy is demonstrated by an intelligence professional who reminds us of counterfactual circumstances where voters’ knowledge of accurate and relevant information kept secret from them could have saved many lives and decisively altered US political history by defeating Richard Nixon twice. Publishing such information is not a bad thing, except to those with something to hide. And it is not fake news. The other such use of the term “hacking” could relate to tampering with digital election machines, the only credible examples of which, known so far, occurred in the Democratic primary elections where Clinton’s results were suspect because they were contradicted by exit polls. Trump, who “manages at times to reveal the truth,” vaguely alluded during the primaries to this concern by Sanders’ supporters when he alleged “rigging” of the Democratic primary against Sanders. Progressives oppose his recent attempt to convert this concern with fraudulent administration of elections – the kind of election fraud that Greg Palast documents – into a wholly unsupported, indeed, “fake news” assertion of voter fraud. This reversal serves to advance one of the Republican’s Swamp-bound projects of enacting legislation that will suppress the vote under the pretense of preventing a non-existent problem. Documented evidence that Russia did anything of this nature which resulted in electing Trump would require showing that some false stories, not the true ones on Wikileaks, but a false story on say RT, or far more likely other lesser known and entirely untraceable fly-by-night outlets, was so effective that it changed public opinion sufficiently to account for Trump’s election. No candidate for such an effective story that received widespread currency despite suspect provenance has been advanced. More important, no polling data has been offered to show that enough people to elect Trump did not vote for Clinton because of deliberately manufactured lies about some such “fake news” issue. In other words there is no credible evidence to support this innuendo, deliberately conflated with the hacking allegations, that Russian-origin fake news affected the 2016 election. The truth is that there was only one example of such provably fake news important enough to cause Trump to win the election. I wrote an article on that fake news in Huffington Post before the 2016 primary season. I was motivated to write the article to counter the mass media’s blatant and pervasive misrepresentation of Bernie Sanders as not a serious candidate amidst their combination of attacks on and deliberate neglect of him. That article warned in its title “That Democrats Underrate Sanders’ Superior Electability at Their Peril.” Subsequent articles expanded on this theme of a propaganda system bent on misinforming Democrats about Sanders’ electability. The first article reported polling data showing that the Independent plurality of voters, who were barred from voting in many Democratic closed primaries, but who do vote in general elections, favored Bernie Sanders by 36% over Clinton. This explained why other polls consistently showed Sanders to be a likely winner against any Republican, while leaving Clinton only a toss-up chance in November. Later articles showed that Clinton’s support against Sanders was mainly centered in red states, which I labeled “rotten burroughs” because those states where Clinton was racking up her lead in delegates would predictably contribute not a single electoral vote to a Democratic victory in November. Sanders’ support was centered in the blue and purple states where victory would be won. At the same time, polling also showed Democrats to be unaware of that fact. On the big “electability” question, 38% more Democrats thought Clinton “would have a good chance of defeating the Republican nominee” (87%) than would Sanders (49%). Because Clinton was found very unlikeable and untrustworthy compared to Sanders, this electability factor was clearly a most serious factor for many Clinton voters. I wrote: “Democratic voters thus have it exactly backwards. … Democrats are not just misinformed, but grossly misinformed, about the key issue of whether Clinton or Sanders will more likely win against Republicans.” One labor leader, ”with a special nod to NBC/MSNBC,” alleged the existence of a well-funded effort to “consciously mislead” Democrats into believing “that [Sanders] cannot win.” Polls prove that they were extremely effective in purveying the fake news that Clinton was more electable. My article concluded that “Democrats’ erroneous guess as to which candidate can best defeat the Republicans could result in their nominating the wrong candidate, for the wrong reasons.” This is what happened, and is the decisive reason Clinton lost. Trump did not win. The Democrats deliberately lost on their gamble that they could squeak through the opposition to Clinton by Independents. This is the actual “fake news” story of 2016. Because this electability fake news story is not being told and discussed, Clinton Democrats still suffer from the same fake news syndrome that caused their selection of a potential loser instead of the probable landslide victor with coattails. They remain in denial that favorability polling consistently showed Sanders defeating Republicans, and especially Trump, by landslide proportions. Many of the loudest protesters against Trump are Clinton supporters responsible for his victory by imbibing fake news that caused them to cast a primary vote against the probable general election winner. Instead of protest marches against Trump, who virtually admitted he would have easily been run out of politics by Sanders, they should be protesting against the corrupt DNC, and its selection of yet another Clinton identity politics operator who “has an established record of not taking on the banks” to head it instead of the candidate supported by progressives, which may well give Trump another four years. As Glen Greenwald predicted, If “Democratic leaders prioritize ensuring that the left has no influence in their party over strengthening itself to beat the Trump-led Republicans” they prove their irredeemable corruption and pending collapse as a viable party due to their “commit[ment] to following exactly the same course, led by the same factions, that has ushered in [their 2016] disaster.” Either state democratic parties will be taken over by progressives and then separated from the corrupt DNC, or a new progressive party will arise in the ashes of modern Whigs. That establishment Democrats continue to lie about the reason Trump was elected with their Russophobe diversion remains an important issue that should not be forgotten in the midst of obsession with its consequences rather than attention to its cause. Understanding causes is essential to formulation of strategy. The Clinton neoliberal wing either ignorantly or deliberately risked nominating a possible loser instead of a probable winner against consistent polling evidence warning of the consequences. If deliberate, the fact that the loser was widely known to be a corrupt scandal-prone centrist and the winner would have been a scandal-free progressive with greater public service experience suggests a bias by neoliberal Democrats against progressives so strong that they would prefer to lose to Trump than be responsible for electing a progressive-leaning Democrat. Of course this practice has a history in the pivotal 1944 VP contest fixed against Henry Wallace, the 1968 nomination stolen by bosses from McCarthy, the 1972 McGovern campaign undermined by the same elements, and of course Sanders in 2016. To avoid facing up to this truth with their supporters, that they would rather loose than elect a progressive, the plutocrat Democrats are now going to the extreme of waging a propaganda campaign against Russia, always a convenient whipping post for imperialists (neocons) to deflect attention from their anti-democratic influence on domestic policy. This neoliberal Democrat diversion about Russia is evidence either of pathological self-delusion, or of more deliberate lies. None of the potential motivations for why Clinton Democrats preferred the risk of electing Trump to the probability of electing Sanders, nor for their Russophobe coverup make them reliable partners for progressives. If progressives should decide to return to the framework of the Democratic Party in 2018 to primary every Clinton-supporter, which includes almost all incumbents, it must be done so in a less than collegial spirit. Neoliberal Democrats willing to grasp defeat by Trump from the jaws of victory with Sanders in 2016 are not allies of progressives. They are as much opponents of democracy as are the Republicans who, like Trump, are similarly betraying their Independent voters by making the Swamp rise rather than draining it as promised. This entry was posted in All Posts News Politics and-or Videos, Crime and or Corruption, Democrats, Media, Propaganda, Russia and tagged 2016 Election, Bernie Sanders, Donald Trump, Fake News, Hillary Clinton, Rob Hager, Russiagate and/or Russophobia, Same As It Ever Was, Voter Suppression Voting Rights. Bookmark the permalink. After reading Hillary Clinton’s 10th Anniversary edition of It Takes a Village in the spring of 2016 I knew Trump would win. Anyone that boring would never get the attention of the voters and likely cause a low voter turnout. Good insights in the article so it was shared around the Internet. good article . 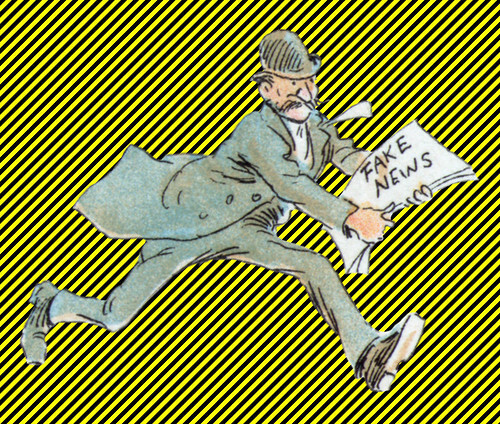 those of us who monitor news know it’s all fake . it’s another group of corporate entities seeking to increase profit motive . the so called news is from nowhere. . pure fabrication . Trumpster has his own form of fabrication .